Wednesday’s Wowzers: A bit of everything! You are here: Home / wowzers / Wednesday’s Wowzers: A bit of everything! So you know what that means... right?? It's time to be wowed! 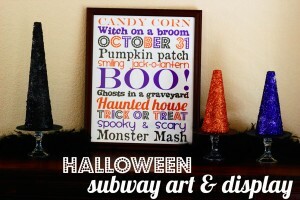 There are so many incredible Halloween/fall projects floating around right now! I easily could have dedicated this entire post to all things Halloween, but one of the things I love about my wowzers is a bit of variety! I try to include all sorts of different projects that I love! So here 's a little bit of everything! This batty table runner from Miss Lovie is so festive! 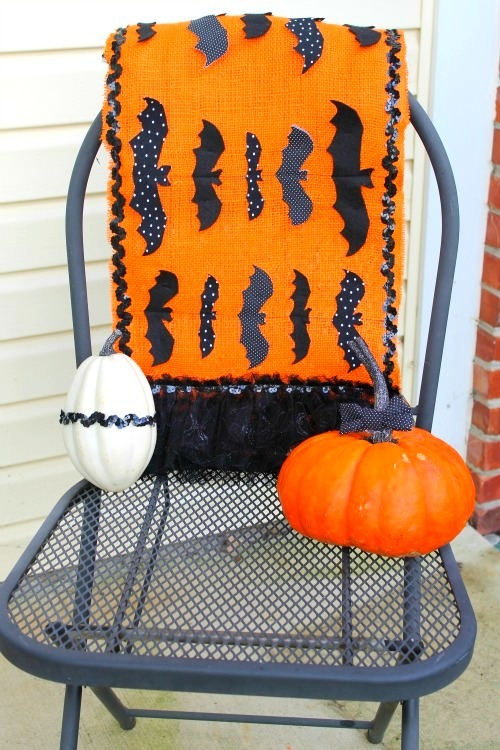 I am loving Allie's Creepy Crafty Halloween series going on NOW! Be sure to check it out! My sweet friend Kirstin at Kojo Designs is hosting a darling pretty parties series right now. This girl knows how to throw a party!! So I am loving all of her ideas! 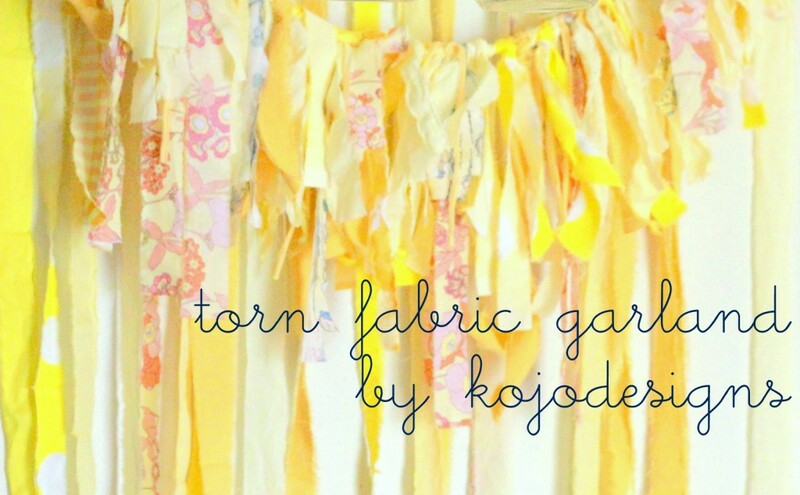 I've seen torn fabric garlands floating around Pinterest, so I love this step-by-step tutorial! This is gorgeous and could easily fit any occasion! Lil' Luna... Oh how I love Lil' Luna! 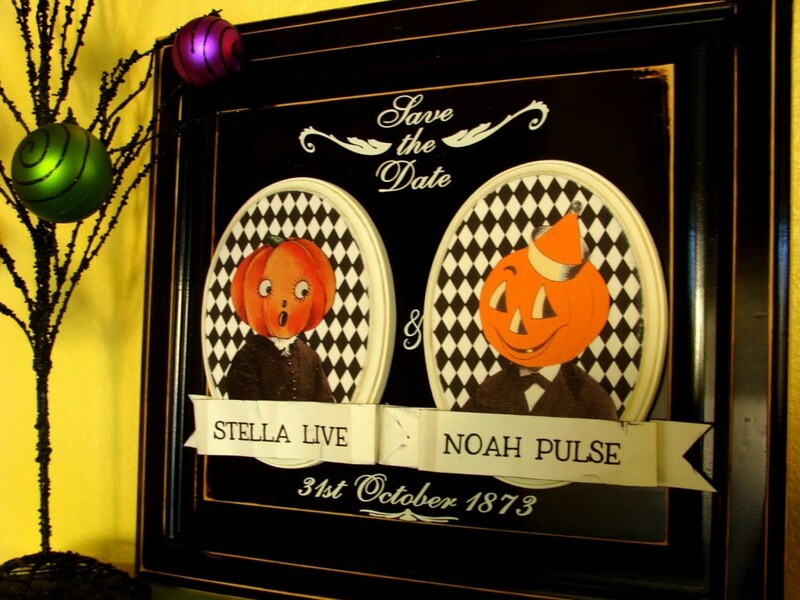 I love Kristyn's "Save the Date' vintage Halloween sign. So stinkin' cute! 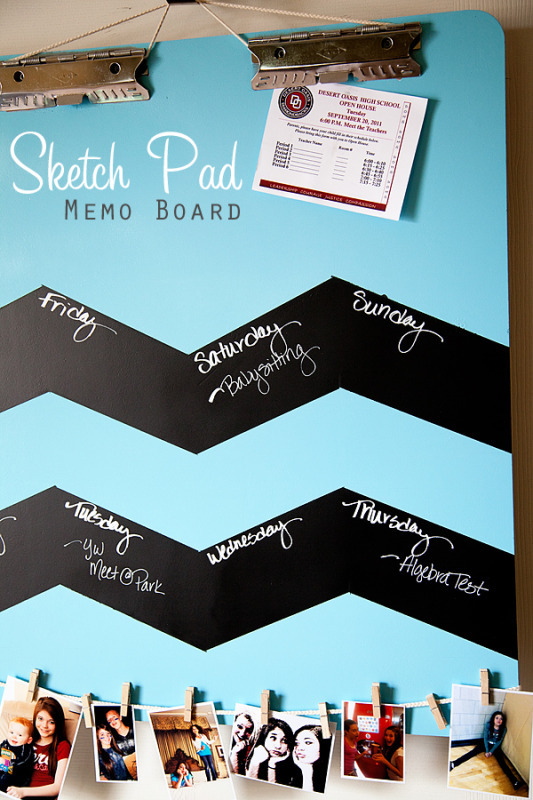 How cute is this DIY chevron memo chalk board?! I love the colors, love everything! The clothespins holding the pictures is just plain darling. Whipperberry is so clever! 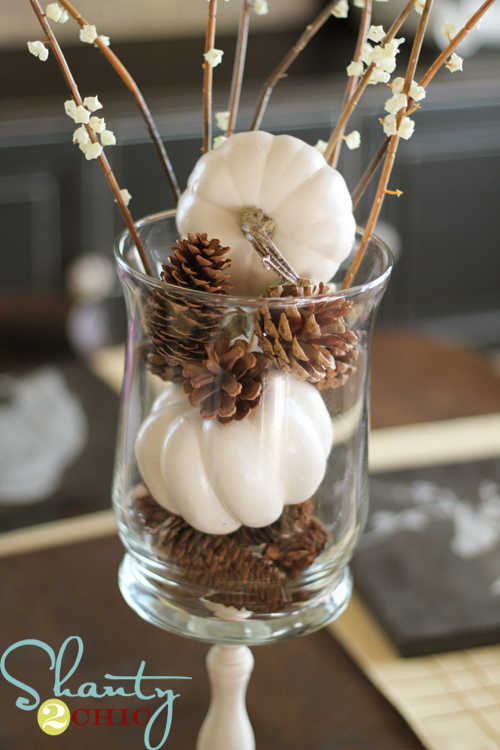 I love simple, stunning decor like Shanty 2 Chic's white pumpkins and pine cones. I think I could pull off something like this! I don't know if I can go a week without finding a pillow that I love! 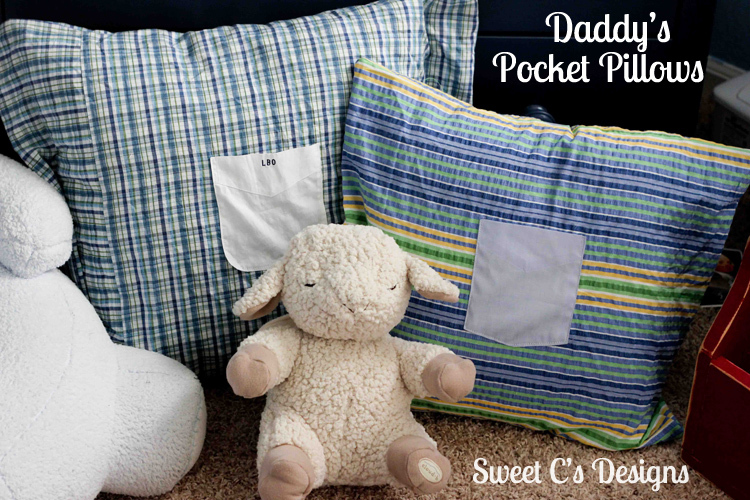 This week I'm loving Sweet C's Designs' Pocket Pillows. Courtney made these cute pocket pillows from her husband's old button-up shirts. Great idea! There are tons of great ideas here at this dessert table. 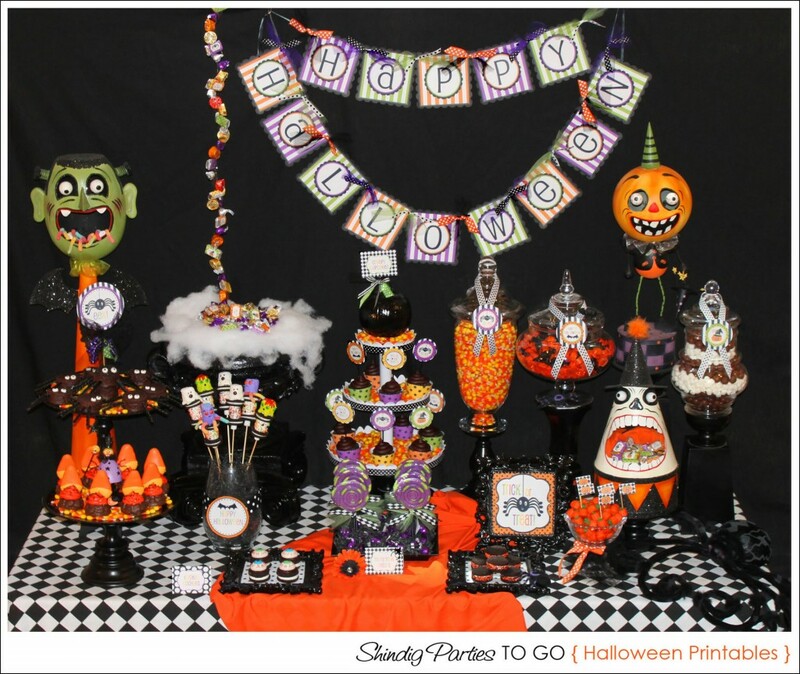 There are lots of fun ways to spruce up your Halloween party at Shindig Parties. Last up. 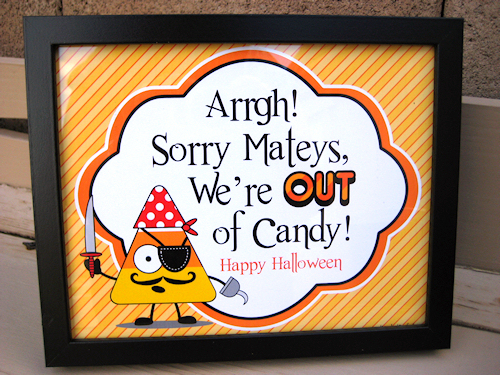 This printable sign is PERFECT for Halloween night when you run out of candy! What a fun way to let people know you're done for the night. I stumbled upon this cute printable on Anything But Perfect. What projects are inspiring you right now? Or do you have a project you want to show off? P.S. Yesterday I posted at Miss Lovie as part of her Creepy Crafty Halloween series. 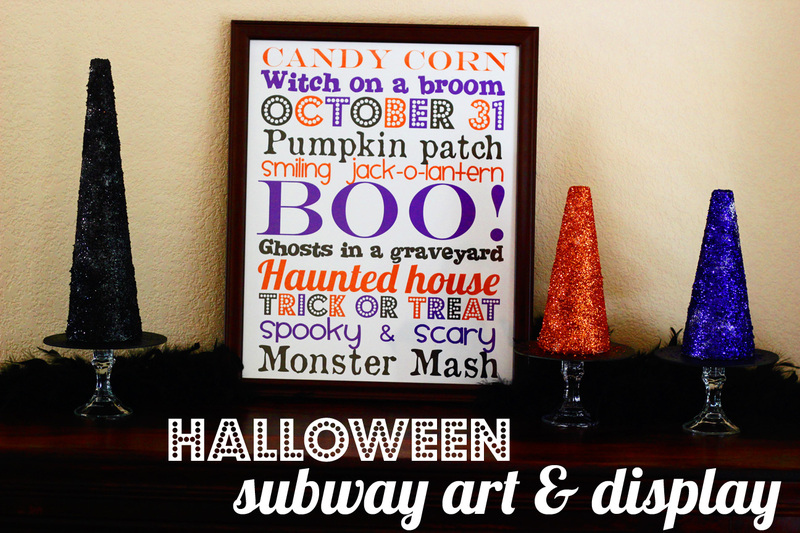 Go stop by and check out my printable Halloween subway art PLUS sparkly witches' hat display. Wow…lots of cute and new ideas!! Thanks for sharing. Love all the wowzers! I was just over at Miss Lovies and I was happily surprised to scroll down and see your project from yesterday! LOVE those sparkley witches hats! I don’t have a mantel, but I do have a window with a large ledge that I can use as a mantel! Woo hoo! Great round up! I’m infatuated with Lil’ Luna’s save the date. It is just fantastic!! Great ideas! I’m working on so many projects right now, and I keep adding to the list. This season is one of my best times for projects with all of the creative ideas all over the web for inspiration. Thanks for the feature! I am obsessed with KoJo’s garland. Like, I am rounding up fabric to make it with as I type. Stunning!